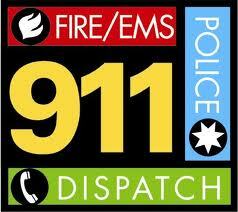 Differences between traditional 9-1-1 service and VoIP phone 9-1-1. Remember to verify your location. Be prepared during any service interruption. VoIP Much Phone Company will attempt to provide the emergency operator with your service address, so please ensure that your information on file with us is always accurate and updated. If you do not do this (for example, if you are unable to speak during a 9-1-1 call), the emergency operator may assume that you are calling from the last registered address. VoIP Much Phone Company's terms of service limit and disclaim liability related to VoIP 9-1-1 service, so please read these carefully. For a complete description of our VoIP 9-1-1 service, please see VoIP Much Phone Company's 911 Policy at www.voipmuch.com/911_policy.asp.